Indianapolis, Indiana – An Indiana patent attorney for Eli Lilly and Company of Indianapolis, Indiana filed a patent-related lawsuit against Uropep Biotech GbR of Garbsen, Germany in the Southern District of Indiana. Plaintiff Lilly is in the business of, among other things, the manufacture and sale of various pharmaceuticals including a drug trademarked as Cialis®. At issue in this intellectual property lawsuit is U.S. Patent No. 8,791,124, entitled “Use of Phosphordiesterase Inhibitors in the Treatment of Prostatic Diseases” (“the ‘124 patent”), which has been issued by the U.S. Patent Office. Lilly states that the ‘124 patent was issued to Defendant Uropep Biotech. 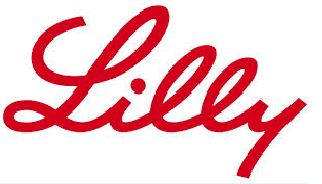 Lilly further states in this Indiana lawsuit that an entity related to Uropep Biotech, Erfindergemeinschaft UroPep GbR, sued Lilly last month in the Eastern District of Texas asserting that Lilly had infringed the ‘124 patent by manufacturing and selling Cialis. Lilly contends that Erfindergemeinschaft does not own the patent-in-suit and that, consequently, the Texas lawsuit was improper. It further asserts that the Texas lawsuit provides evidence of an actual and justiciable controversy between Lilly and Uropep Biotech sufficient to warrant this instant Indiana lawsuit wherein the Indiana patent lawyer for Lilly asks the court for declaratory relief adjudging that it has not infringed the ‘124 patent. Lilly also asks the court for a declaration that the ‘124 patent is invalid as well as attorney’s fees and costs. The case was assigned to Judge Tanya Walton Pratt and Magistrate Judge Tim A. Baker in the Southern District of Indiana and assigned Case No. 1:15-cv-01222-TWP-TAB.